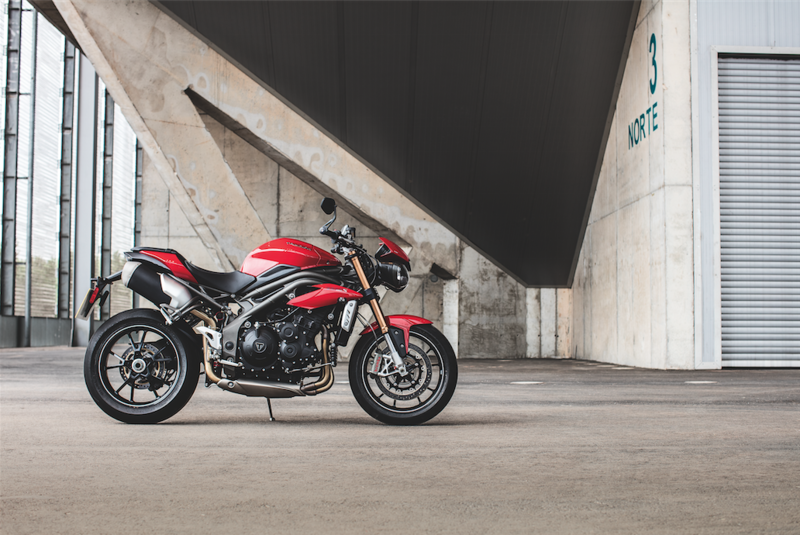 2016 Triumph Speed Triple announced. Two models to pick from. 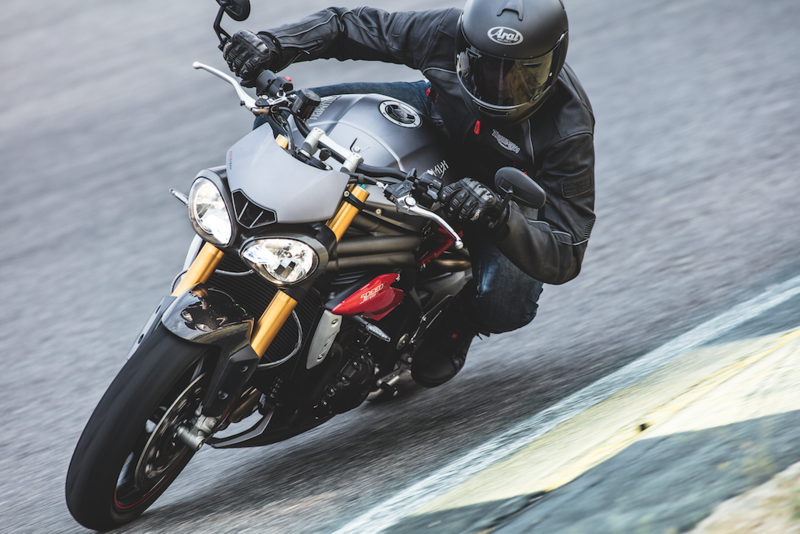 It’s not just the Thruxton line up getting a revamp at Triumph, the 1050 Speed Triple will get it’s biggest upgrade in years as well. Two new models, an S and a range topping R will give owners something to choose from, both feature over 100 changes from the current model. Traction control, selectable ABS and five rider modes will feature on both models, as will Brembo monobloc brakes. The R model also offers the addition of carbon fibre bits and pieces, as well as top spec’ Ohlins NIX30 forks and a TTX36 shock. Power and torque have both been improved, though there are no figures yet. The current model Speed Triple makes around 130bhp and just over 80 lbs-ft of torque. That’s a healthy if not sector leading figure. We’re sure to see an increase in both areas, Triumph have reworked the head, increased exhaust efficiency, come up with a new crank, new pistons and new throttle bodies. This stuff all adds up, though whether it’ll be enough for out and out power honours in a fiercely competitive sector remains to be seen. The large capacity naked sports category has really filled out over the last couple of years. The KTM SuperDuke, BMW S1000R, Aprilia Tuono, Ducati Monster 1200, Honda CB1000R, Kawasaki Z1000 and the new Suzuki GSX-S1000 all offering something different. That said, the Speed Triple has been in production since 1994 and has a very loyal following. 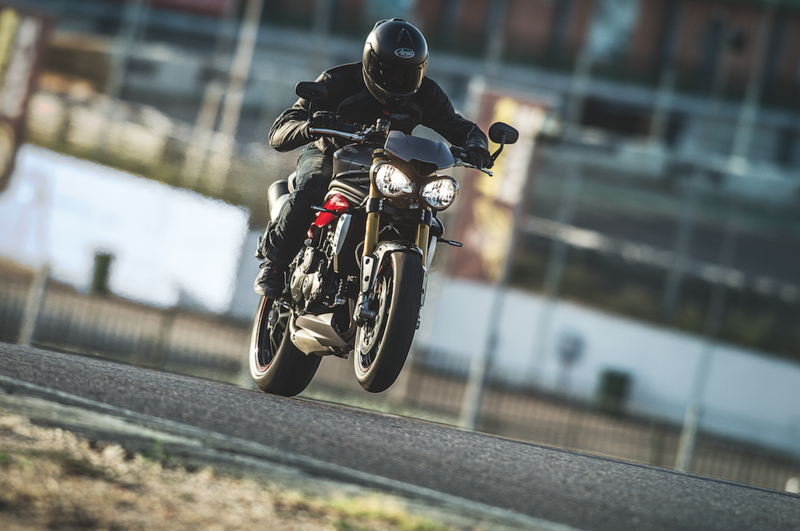 We’re huge fans of the Speed Triple here and can’t wait to get our hands on this bike. Available in Red or Black in the S model and in White or Grey in the R model, you’ll be able to kick the hell out of both sets of tyres at Motorcycle Live. If your deposit is burning a hole in your pocket, click this way and find your nearest dealer.